﻿Slim has a racing pedigree so extensive that it is virtually impossible to encompass it in a simple summary such as he has competed at the highest levels in single-seater, sports car, touring car and truck racing series. 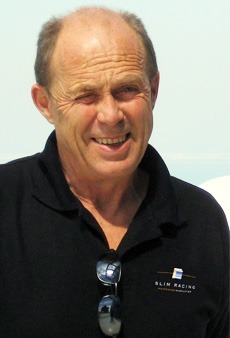 Amongst other highlights he won the Swedish Formula 3 and the European Formula 3 Toyota Cup Championships, secured third in the FIA European Formula 3, drove for ATS and Tyrell in Formula 1, won the special 25 Hour Willhire Race at Snetterton and was four times FIA European Truck Racing Champion. Now he brings that racing experience to his own team along with his widely acclaimed skill in suspension and drive train engineering.The result is that the team can offer unrivalled support in establishing optimum car set-up and the provision of guidance on qualifying and race strategy as well as any supplementary driver coaching that may be required. After over 40 years in Motorsport Slim’s enthusiasm and his determination to succeed remain undiminished and this spirit permeates the entire team. Slim Racing engages only the best qualified technicians and mechanics to support their racing activities. We aim to create a dedicated team around a driver to provide continuity throughout the season.